The Willful Minors is our Shakespeare Troupe in community service, bringing the Bard to schools, local events, senior care facilities, hospitals and anywhere there is a need for the Arts. 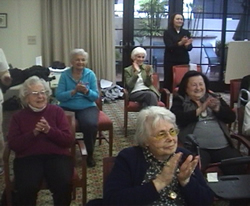 Venues where The Willful Minors have performed include the Baldwin Hills Public Library, the Jefferson Park Public Library, Bridge Point Retirement Community and the historic Wilshire Ebell Theater. Our Willful Minors also serve as Ambassadors, helping us spread the word about Los Angeles Drama Club. We recently performed a Curtain Raiser for the Good People Theater Company‘s production of Barrymore. Would you like to get involved? We need volunteer drivers for our events, and are actively seeking a Willful Minors Van or Bus! 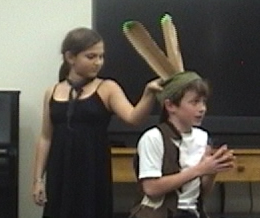 If you are interested in having The Willful Minors perform, please email us at speak@losangelesdramaclub.com. If you’d like to BE a Willful Minor, click here to learn more!